It should be possible, at least theoretically, to customise (personalise) HealthCyberMap based on a user's geographical location (as determined by his/ her IP address used to access HealthCyberMap.org, though this method is not always reliable). Two main customisation categories exist. 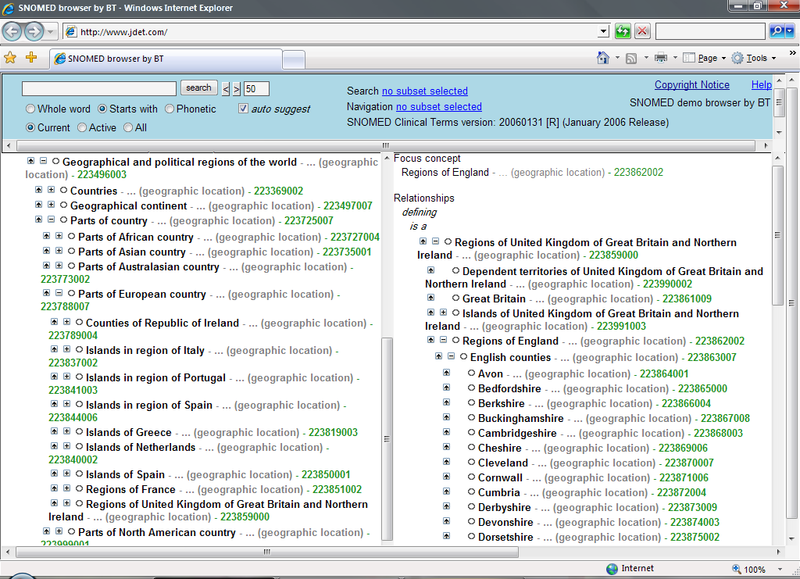 retrieving/ giving more importance to Web resources in user's location language. N.B. : Some users might move from their native country to another country, e.g., from the UK to France, either temporarily or permanently. It is not always the case that such users will want the language of HealthCyberMap interface and retrieved resources to be changed to reflect their new location, e.g., from English to French. Customisation should also (ideally) address any location-specific information needs and match these needs to suitable online resources covering the concerned location and its known health and healthcare makeup. In addition to using User IP Address to City/ Country Mapping to customise HealthCyberMap (see Geobytes/geobutton and VisualRoute demos below), users should be allowed to override this and manually set their preferences (including personal preferences unrelated to location) following the "My Yahoo!" example. Customisation can be also based on an input form that captures (and stores) a user's profile. User's descriptors in this profile can then be used to tailor the content delivered to that user according to some predefined content selection model or rules. Below is a utility from Visualware, Inc. that demonstrates User IP Address to City/ Country Mapping. You may wish to try the following two addresses: 193.251.240.1 located in France or 213.158.166.113 located in Cairo, Egypt.